Description : OpenID has emerged as the de-facto user-centric identity framework allowing millions of people to interact online. Developers of Open Source projects are rapidly adding support for OpenID in order to enable their communities. 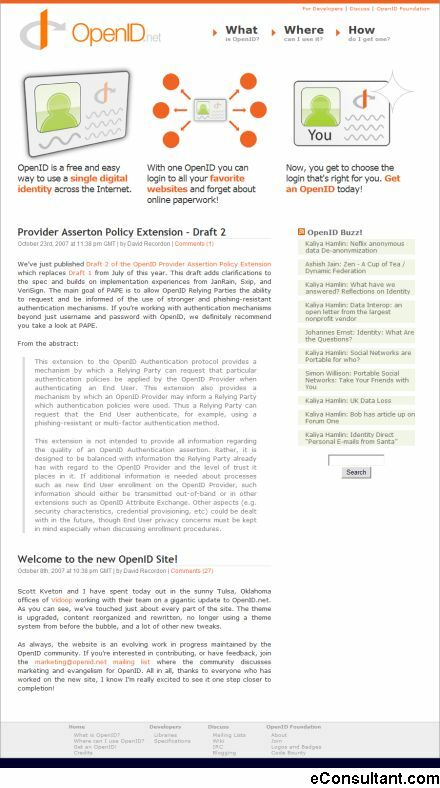 The OpenID framework provides the means for users to share other components of their digital identity. By utilizing the emerging OpenID Attribute Exchange specification, users are able to clearly control what pieces of information can be shared by their Identity Provider, such as their name, address, or phone number.